Farmhouse wall clocks have the perfect combination of rustic appeal and country charm. Unfortunately, it can be challenging to find these over-sized wooden wall clocks without the over-sized price tag. 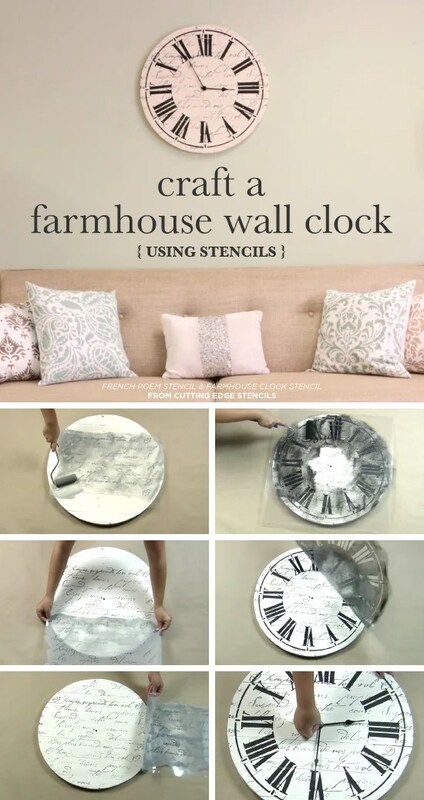 Our stencil patterns can help you craft the farmhouse clock of your dreams. See the full tutorial here.